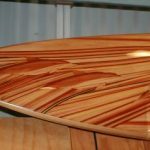 Surfboard Products Archives - Goosebay Sawmill and Lumber, Inc. The “12’6″ Clearwater SUP” is all about performance paddling. It was designed to slip through the water with minimum effort. The Clearwater SUP was designed by Randy Bogardus and is race proven! 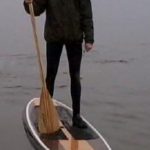 The ” Malco” 11 foot SUP was designed by Malcolm Schweizer. It has a little concave in the nose and a slight “V” in the tail. Plus the rib design lets you build the rails two different ways (built up solid rails or wood strip hollow rails). The Lake Superior was designed for stand up paddling in lakes and calm water. It has less rocker than its cousin “The Orca” because it doesn’t have to contend with waves. The “9ft. 6in. 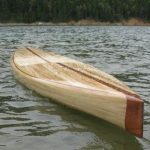 Stu’s Sup” is a short surf SUP that was designed for people that want a shorter, more agile SUP. The Stu is meant to be an open drops and hard turns like a surfboard but give the wide stability of an SUP. The 9’6″ Cal Gun was designed by Brad Tucker and San Diego surfer Mike Ramsey. What they came up with is a “Gun” shape that looks very cool but is great when the California surf gets big. This board is all about speed and the extreme nose rocker makes those late takeoffs possible. The Chameleon is a longboard that behaves like a shortboard. When it’s built according to plan it’s an “egg” that lets you make the most of any size surf. But it can be modified to be much more. You can sharpen the nose and tail for more speed and maneuverability. 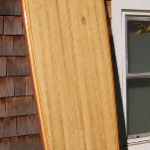 “The 8′ 1″ Driftwood Sr.” is 8-foot performance hybrid that we widened a little for better flotation and stability. Designed for riders in the 200+ pound area. Same sleek lines and awesome speed and maneuverability as the Driftwood, just floats more. You’ll be cranking turns you never thought possible on a longboard.